There’s no need to go far to find a place to hike. 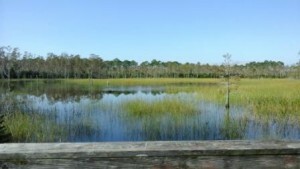 In West Palm Beach, Grassy Waters Preserve has several trails to choose from. 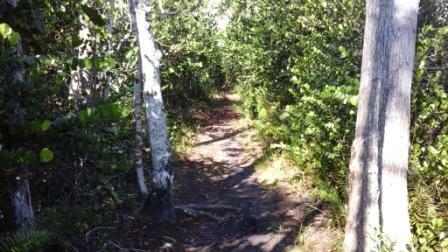 Recently, we headed to Apoxee Trail for a couple hours of exploring. 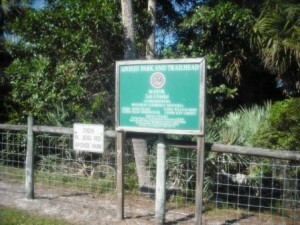 It’s an easy drive one mile north of Okeechobee Blvd on Jog Rd. with parking for approximately 12 vehicles. Information kiosk with maps of the trails and a couple of portable toilets available. Most people walk at normal pace of 3mph but that rate drops down to 2mph considering the terrain. With children, it gets even lower especially when they want to stop and look around. 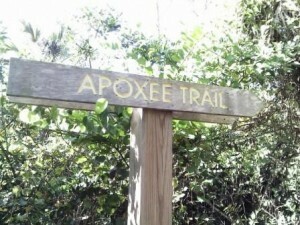 Apoxee Trail is a short 2.5 mile hike. 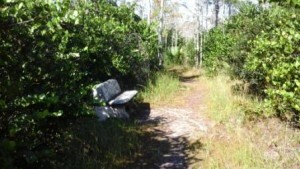 The Butterfly Orchid Trail is 0.5 mile trail that loops back to the parking lot. It is paved and easy for most anyone to access. The other part takes you on a rougher terrain where you will come across lots of roots and can be more challenging to some people. You most likely will encounter several areas where the path is flooded and you will get your shoes wet. During the summer months or after heavy rains, the water level can even get up to one foot or higher. It’s important to wear appropriate apparel for these conditions. 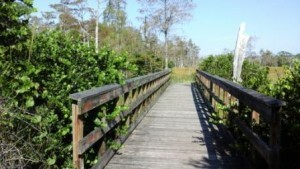 The path takes you across several boardwalks and bridges with gorgeous water views. 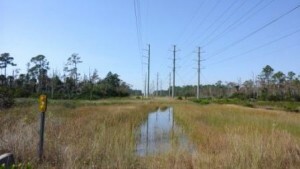 Crossing through a wide prairie underneath power lines, the trail then divides into 2 trails. 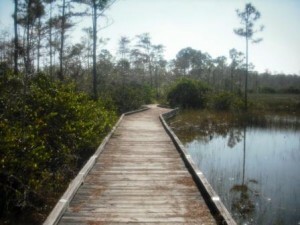 Take the shorter trail to your right which takes you across long boardwalks with beautiful scenery. 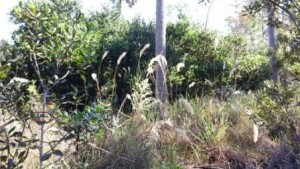 Along the way, look for wading birds, raccoons, armadillos and possums. Apoxee Trail connects to Owahee Trail. From there you can continue on a straight path connecting back to the Apoxee Trail. If you’d rather not venture out that far, you can just turn back the same way you came in. Always check the weather for the day beforehand especially during summer months when extreme weather conditions and lighting can present dangerous conditions. Most hikers enjoy morning or late afternoon hours during the warmer months however the most enjoyable time is the fall and winter season. Bring a backpack with water, bug spray, band-aids in case of blisters. Wear a hat, comfortable clothing and hiking boots preferably. Bring your charged cell phone and camera. Whether you are a beginner or more advanced hiker, take time to explore nature close to home. Go with family, friends, children, as a group or just by yourself. 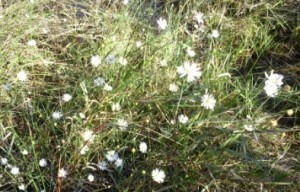 You never know what you can find on your hike and that’s what many people enjoy. Plus hiking is a great exercise for the body and mind. 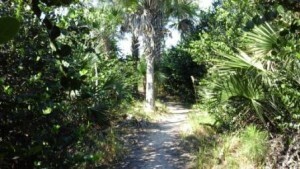 Exercise, Hiking Trails, Nature Trails - Nature Centers, Parks in WPB. permalink.